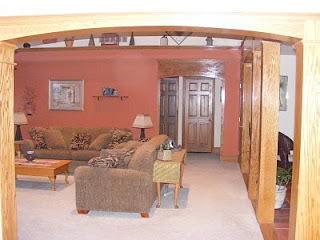 To add interest to a room, add arches. 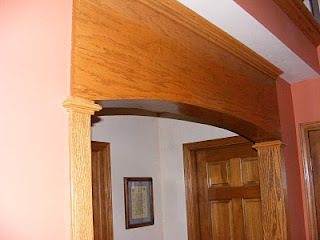 Hallway entrances do not always have to be a drywall square. 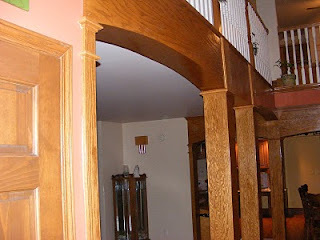 Here MHI Interiors framed hallways in oak and arched the top for a dramatic effect. 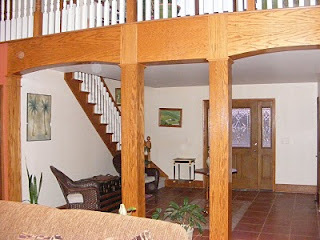 The oak was stained with Sherwin Williams medium stain to create a traditional design. To achieve a contemporary design, arches could be done in a maple wood with a darker stain or in drywall and painted to match room decor.